A heron lingers on the boardwalk of Key West harbour. It moves just slightly, as a sailing boat crosses the horizon. 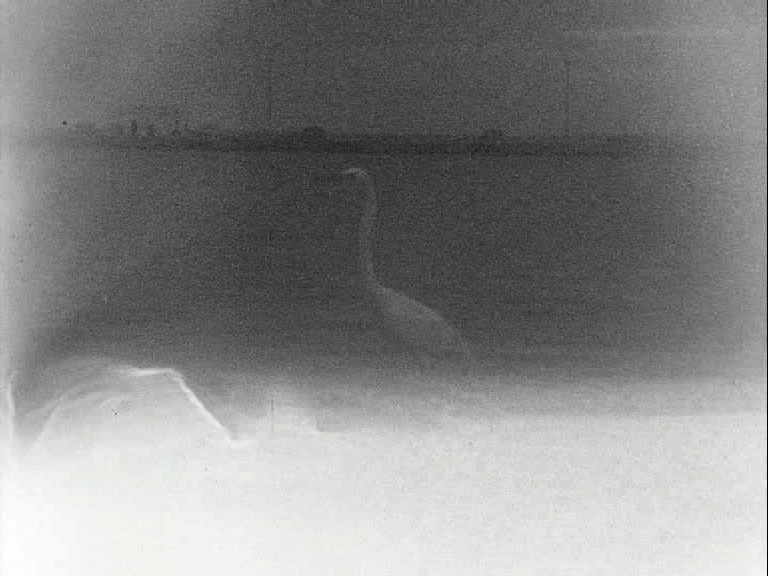 Towards the end, a dark bird tears across the image, irritating the stoic heron.